years specializing in planning & design. 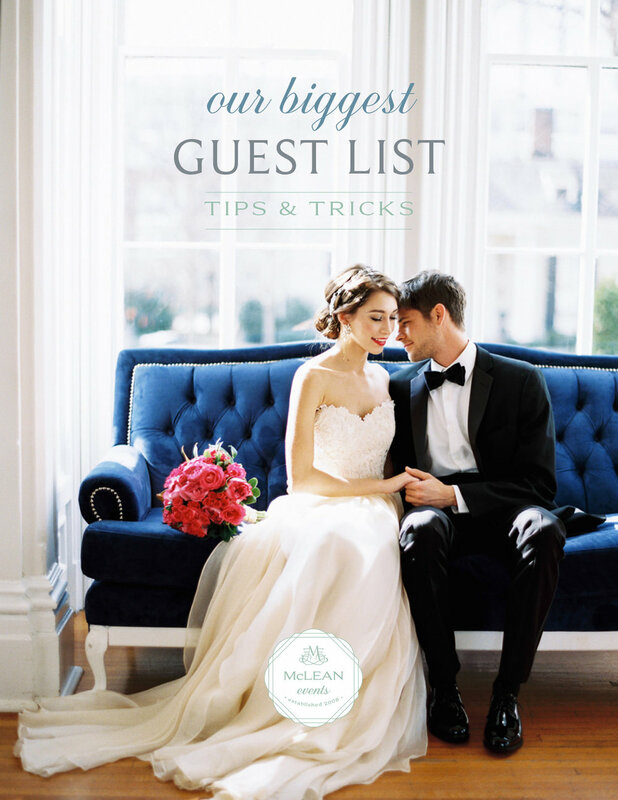 Erin founded Erin McLean Events as a Wedding Coordination business. The EME studio was opened on Angus Drive in Raleigh. Erin transitioned the business from only Planning and Coordination to adding full Design Services. It was time for EME to grow and Tia, the queen of logistics, was brought on board. Erin focused on the design side of the company. Carrington, southern living and design enthusiast, was added to the team. EME planned its first international wedding. Erin McLean Events added a home wedding division to focus on the unique needs of our estate clients. Erin and Carrington revamped the design process to truly reflect its clients personality and aesthetic. Betsy, the details darling, joined the team! The Coastal office opened allowing us better access to our Crystal Coast clients. Erin McLean Events rebranded to McLean Events! Stay tuned for the tenth anniversary! our team collaborates on all angles of each stage of the process on your behalf.